The song “Yankee Doodle Dandy” was originally composed as a way of insulting colonial Americans. The Thirteen Colonies were becoming pretty sophisticated by the 1700s, with universities and growing cities, but the British wanted to make sure the colonists knew they would never be as “cool” as the aristocrats in Britain. 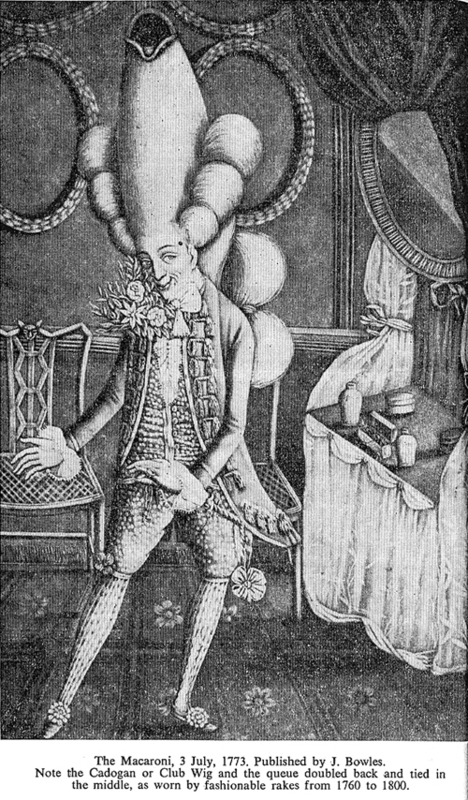 They smirked that these colonial dandies thought that all you needed to be a “macaroni” was a feather in your cap. So for those who may have wondered why anyone would call a feather in the cap “macaroni”–now you know. I have been reminded during recent travels that the convenience of super highways and speedy travel are relatively recent occurrences. Only 150 years ago–a mere blip in the history of human travel–stagecoaches were considered a very modern means of transportation. They crossed the United States, from east to west and north to south, connecting cities and towns and outposts. However, places to clean up, dine, and spend the night were necessary, because transit took days and weeks. 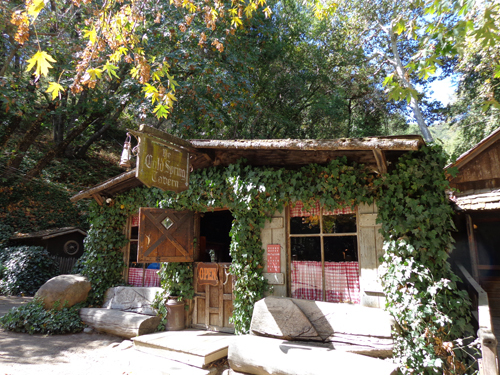 On my trip to California and again on a more recent trip to Michigan, I relived a sliver of this history, stopping at two splendid examples of these stagecoach stopovers–one considerably more rustic than the other, but both remarkable — and both still serving food. 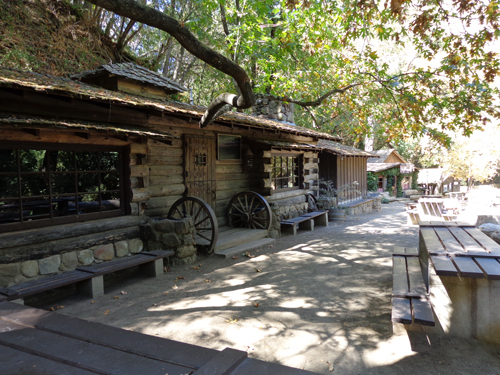 In California, it takes a fair bit of driving on a winding, mountain road to reach Cold Spring Tavern. Built in the 1860s, this is actually a complex of buildings that stood on what was, until 1963, the the only route over the mountains into Santa Barbara. (Hard enough to do in a car; can’t imagine doing it in a stage coach.) Today, while the buildings are still rustic, the menu is very upscale and quite pricey for dinner. I opted for lunch and enjoyed my buffalo burger immensely. A much different experience was visiting the Stagecoach Inn, in historic Marshall, Michigan. 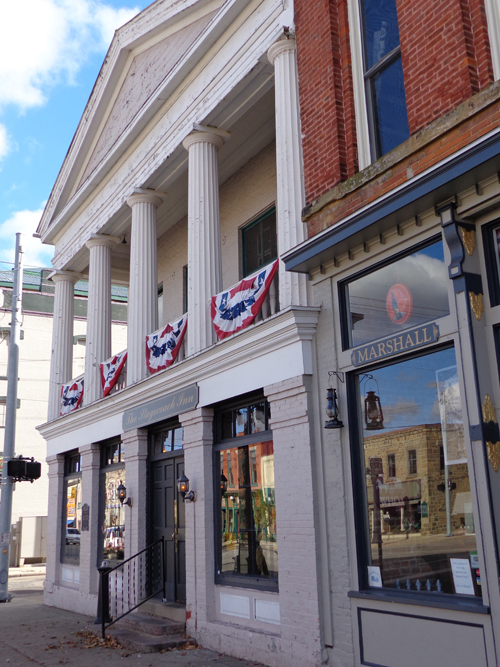 This handsome Greek revival building is impressive even amid an entire main street of impressive, 19th century buildings. Constructed in 1838 and made an inn in 1846, it is the oldest continuously operating inn between Chicago and Detroit. 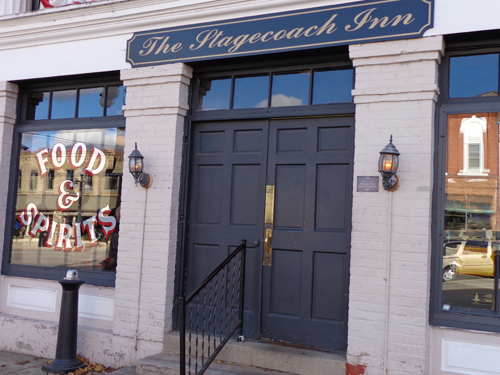 Amusingly, while the rustic Cold Spring Tavern offers an extremely upscale menu, the externally elegant Stagecoach Inn offers simple, though very tasty, bar food. A hand-formed burger and wonderfully crisp sweet potato fries made a good lunch during a break in a long drive. 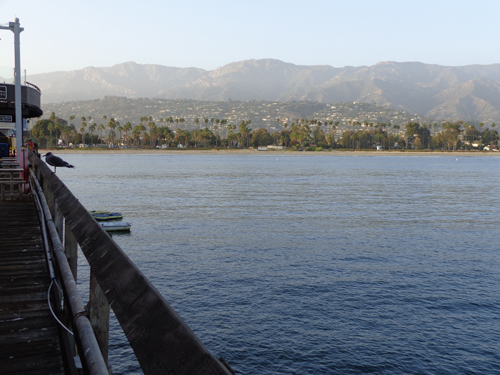 After Ojai, I headed a bit farther north to Santa Barbara. Even here, there would be a bit of history and food research, but also a lot of enjoying the area’s beauty. 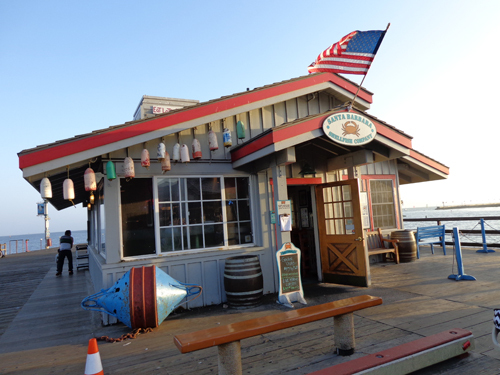 I spent many hours at the delightful Santa Barbara Maritime Museum, where I learned about the history, ecology, and ongoing reality of fishing in the area, with information about sea urchins, abalone, lobster, crabs, and numerous tasty food fish. There was also a tremendous amount of fascinating history on non-food topics, including Native American groups of the region, early exploration, wildlife, and numerous shipwrecks. One fact I found interesting was that the Santa Barbara Channel is considered one of the ten best places in the world to watch wildlife, with an abundance of whales, dolphins, seals, otters, and sea lions. Of course, I didn’t want all my research about local seafood to be purely academic, so I made a point of locating the Santa Barbara Shellfish Company, at the end of Sterns Wharf. If you get to Santa Barbara, I can definitely recommend this spot. 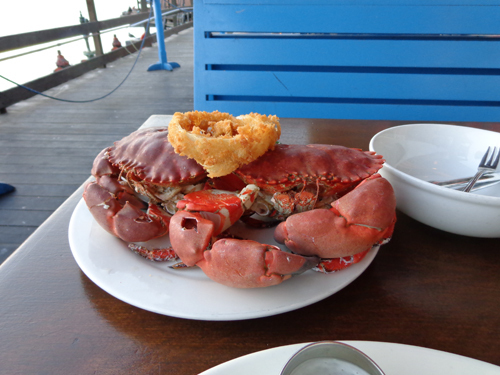 There are many good dining options on the wharf, but the Santa Barbara Shellfish Company is hard to beat for reasonably priced local seafood.